jacob sidney: One week from tonight, Daddy Drinks' first public event! 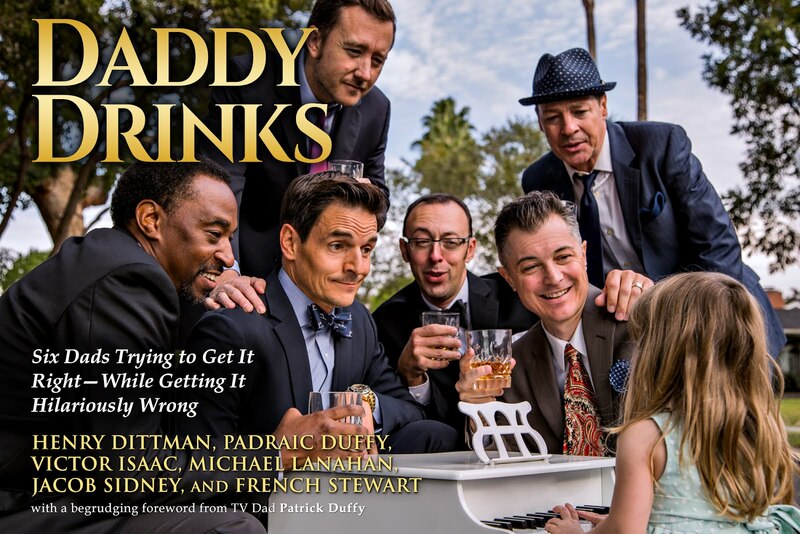 One week from tonight, Daddy Drinks' first public event! and the rest of us! Join us next Thursday, July 20th at 7pm as we read excerpts, sign copies, and answer questions. To expedite the Q&A, we kindly request that you narrow your question down from a general "WTF?" while acknowledging the validity of said question. An RSVP to the Facebook Event will help us know how many angry people will attempt to prevent us from leaving! "Finally! An unfiltered, honest account of the traumatizingly hysterical journey of bringing newborn baby home." "I couldn't put this book down... Yes, men do take care of children, and yes, they do so with love and flair. Kudos, drunk dads!" "The humor, the wit, the candor... you can't put it down and you can't stop laughing." Thanks, it helps us out a lot! I was so happy with the reading of David Jacobi's Ready Steady Yeti Go at Circle X last Saturday! I'm grateful to David, the company, the amazing cast, and the fantastic audience. They have one more coming up Sunday evening, check it out!